Toor dal has the best protein content already u know. This dish is going very well with hot rice' Idli' Dosai and even chappathies too. 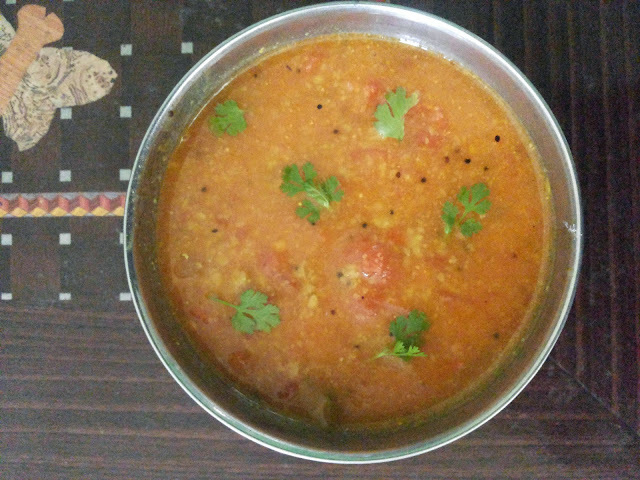 Cook toor dal with required water and turmeric powder. Add tomato pieces and saute well. Add cooked toor dal and allow to cook well. Smash them well and add coriander leaves.